US envoy Jason Greenblatt rips Fatah for praising terrorists. "Disgraceful, vile and contemptible." 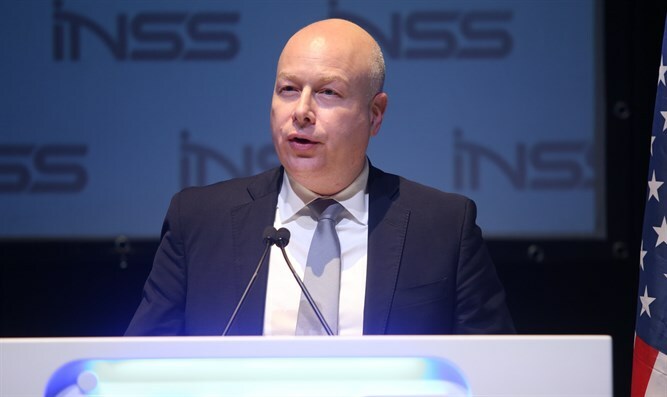 Jason Greenblatt, US President Donald Trump’s Special Representative for International Negotiations, ripped the Fatah movement on Tuesday after it praised as “heroes” the two terrorists who carried out the attacks in Ofra and in Barkan and who were eliminated by Israeli security forces last week. “Shame on Fatah! What part of killing a baby or shooting your co-workers is heroic? This is disgraceful, vile and contemptible,” Greenblatt tweeted. He attached to the tweet a screenshot of Fatah’s Twitter account in which the group praised the terrorists. The same Fatah Twitter account also expressed clear support for the terrorists who carried out the murderous shooting attack at the Givat Assaf junction. Despite being described by some Western officials as a “peace partner” of Israel, Fatah which is headed by Palestinian Authority (PA) chairman Mahmoud Abbas often incites to terrorism against Israel. The PA’s television channels and social media pages openly call for terrorism against Israelis, and it regularly names schools, public squares, community centers and other institutions after terrorists who murdered Israelis.